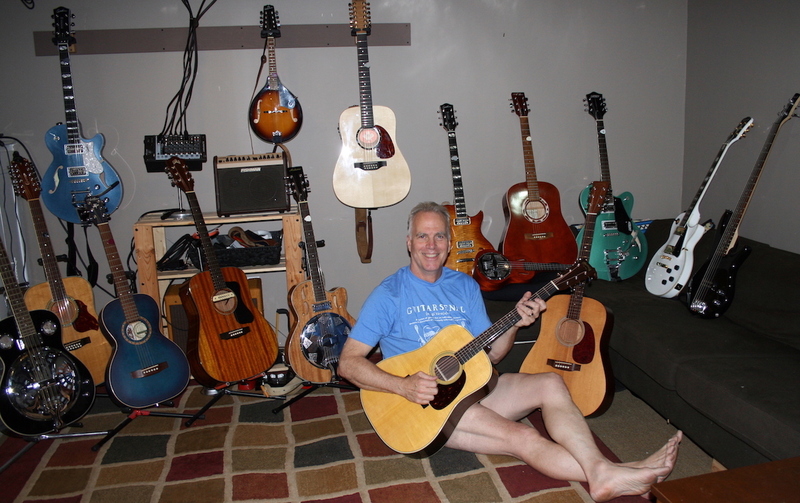 #2 – gives a nice shot of all the stringed instruments, except for a double bass, that we have. Just to note – myself, my wife and our two boys all play. I hadn’t thought about getting shirts for everyone. The Instruments from left to right. Left to Right: 1978 Applause, 1982 Pearl Export drums, 64 year old Max, and my brand new Taylor GS-mini e Walnut. 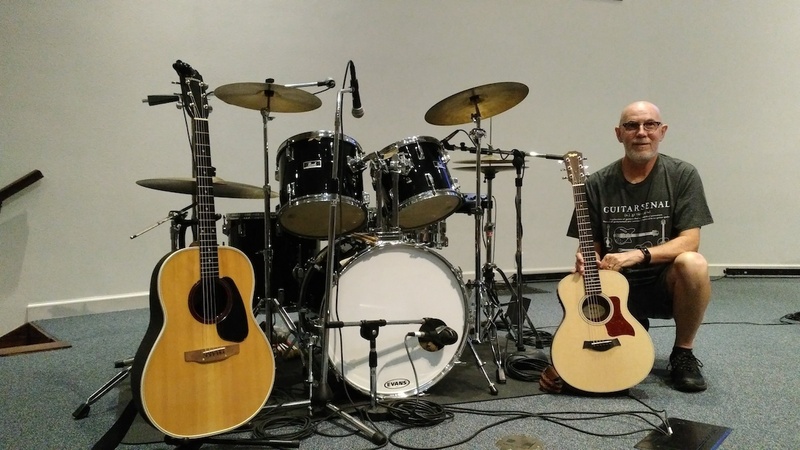 Back Story – I have been a drummer for 50 years (blame it on Ringo) and have been playing the last 25 years in our church Praise Band. 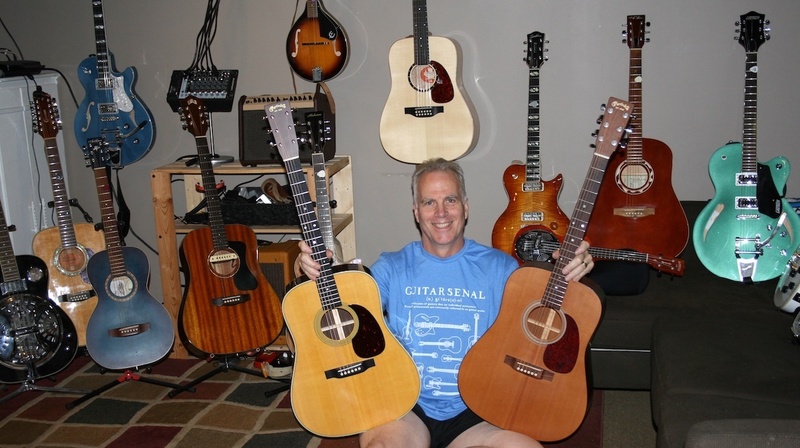 I retired from work last August and decided to try learning guitar as my hobby. The Applause was my dad’s guitar, but he passed away 36 years ago and I had no interest in guitar (until I retired). The Applause had not been out of the case in 35 years. It has been wonderful to learn on and of course it will never leave the family.